Disclosure: I was gifted three grocery bags, a market bag and a re-usable coffee cup from Reco for review purposes. No money was exchanged, and as usual, all opinions are my own. Ethical shopping when you’re in a major city is one thing, but I’ve found that when you live in the backend of nowhere (hello, fellow Waterlooville people!) it’s…..tricky. 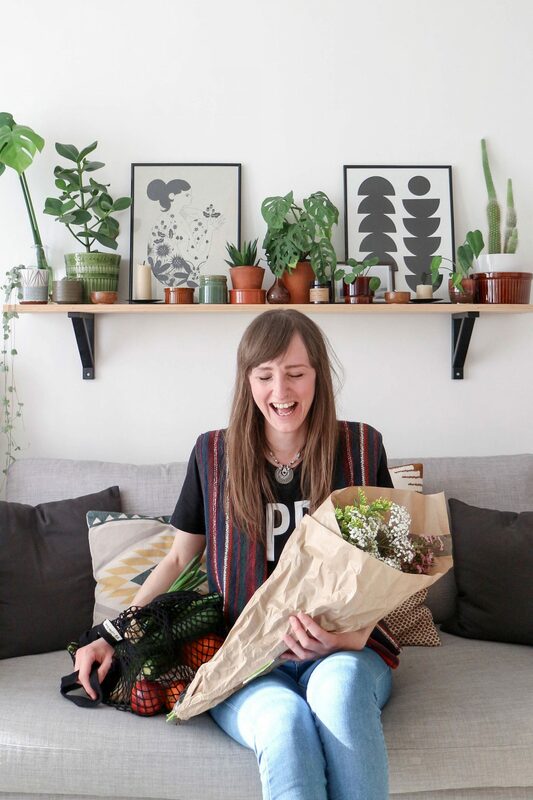 So I thought I’d write a little guide on how I shop when I don’t have access to bulk-buy shops and ethical warehouses – this is going to cover Portsmouth and Southsea as well, otherwise there would only be one place on the list! 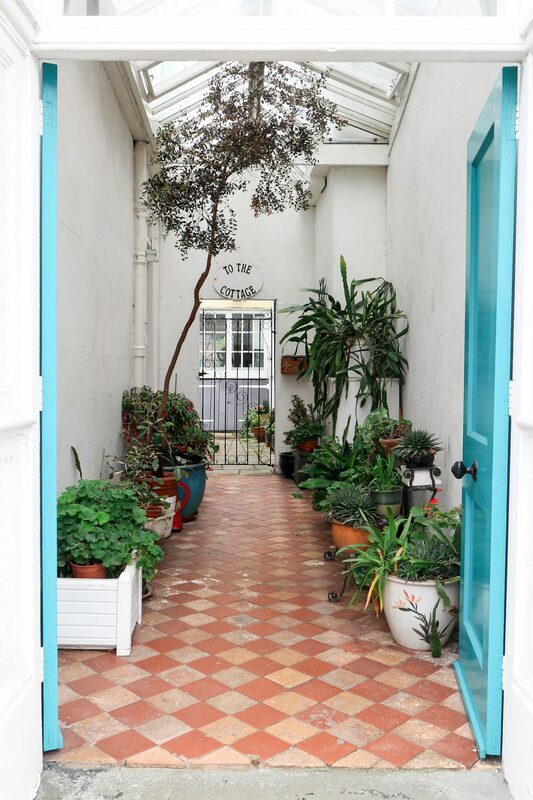 Wandering into Southsea is one of my favourite things to do; there are plenty of great places to eat with LOADS of vegan and vegetarian options, an artisan bakery, a wholefoods shop and my friends wonderful plant shop. The only thing is, bus fare is kind of expensive – we don’t have a car (I separated from my husband last year and he was the one who could drive), and even if I could drive I probably wouldn’t. I do have a bike now, but it would take about an hour to get there – and I’m still seriously wobbly! So when we go, I like to plan for a whole day and buy an unlimited day ticket – it feels more like I’m getting my money’s worth! I always take a book or some crochet for the journey, and my new 12oz rCUP from Reco – I spent a long time looking at a gazillion different reusable coffee cups, and I’m so pleased with this one. 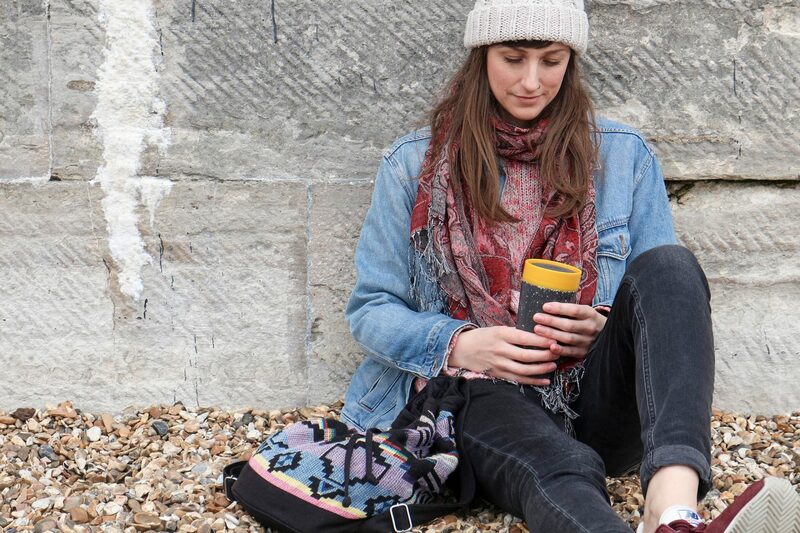 Not only is it partially made from recycled single-use cups, it can also be popped in with your regular plastic recycling when it eventually reaches the end of it’s life – and it’s completely leak proof, which is a Godsend when you ride a bike a lot of the time! If you’re looking for somewhere to buy independently produced gifts or homewares, the Hot Walls Studios in Broad Street are SO GOOD. Each designer and maker has their own studio under the arches that back on to the hot walls (where the photos above were taken), and you can find everything from prints and jewellery to textiles and pottery. My personal favourites are the glorious shibori and katazome textiles from ReFold, and the beautiful weavings by Alice Hume. If you happen to be there around breakfast or lunchtime, there’s also The Canteen which serves delicious locally sourced food. Bread Addiction in Elm Grove is hands down the best place to buy bread or pastries in the city, no contest. They use local and seasonal ingredients to make their sourdough, rye and spelt loaves in the traditional way, and also offer a great range of brunch and sandwich options. Plus, if you fancy learning how to whip up your own loaf, they provide classes in breadmaking – complete with after class support! I remember being ridiculously excited when I discovered Wild Thyme – they are the only local (ish!) 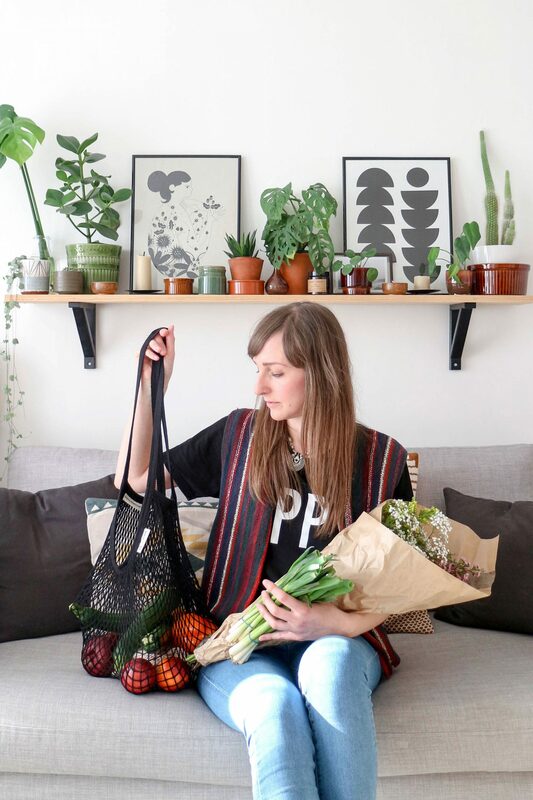 place to me that offer zero-waste shopping, and I remember thinking how great it was going to be not to have to keep ordering things online and paying for postage. They have a small selection of loose fruit and veg, but at the back of the shop is a large are dedicated to bulk-buy dried goods and liquid cleaners. You simply take your container, get it weighed and then fill away! This is also the only place I’ve found that sells the loose, unpackaged Faith in Nature soaps that we use in our laundry powder and as hand soap in the kitchen and bathroom. Oh, and this is also where I buy our eco-coconut kitchen scourers, wooden toothbrushes and eco-friendly tampons! If you need anything plant or flower related, forget everywhere else and head straight to Rose Clover on Elm Grove. Liz stocks seasonal flowers available by the stem, LOADS of different plants (I did a little happy dance when I found a Monkey Mask there lately after months of searching), plant pots made by independent designers, home accessories and books. 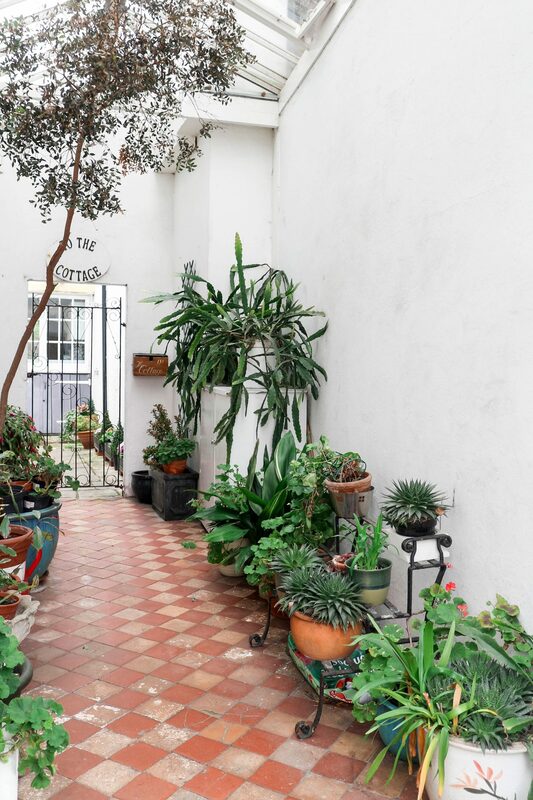 If I ever need any plants, I go straight here! 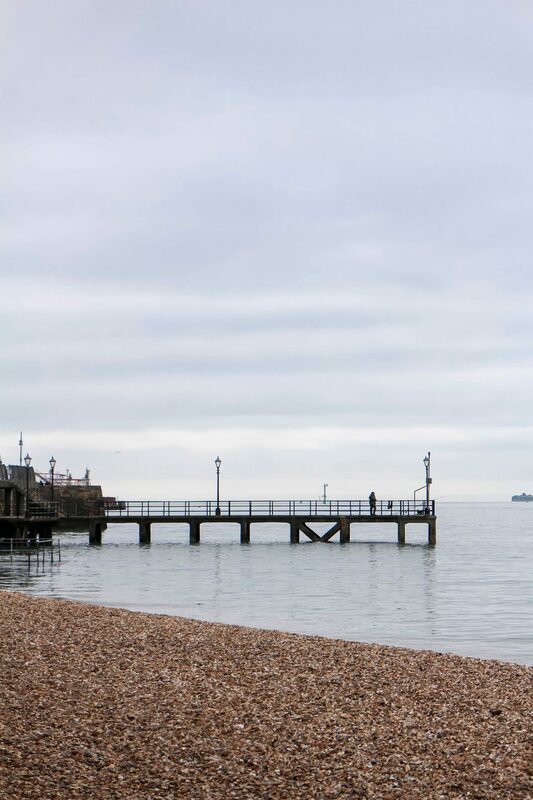 Tucked away on Victoria Road South, The Southsea Deli is the BEST place to buy delicious, locally sourced food and drink. They do breakfast ALL DAY (hurrah! ), and also have a separate lunch menu; expect fresh salads, gorgeous antipasti and a huge range of mouth watering sandwiches. They also stock everything for all your deli needs, use only the best local suppliers and they’ve just started selling milk by the tap in glass bottles – a first in Portsmouth! Slightly less local than everywhere else on the list (although there is a Havant branch opening soon), Eco Freaks Emporium in Gosport is bulk-buy heaven. Stockists of dried food goods, eco-friendly cleaning products and unpackaged soap and bath products, they’ve got everything for your zero-waste shopping needs. 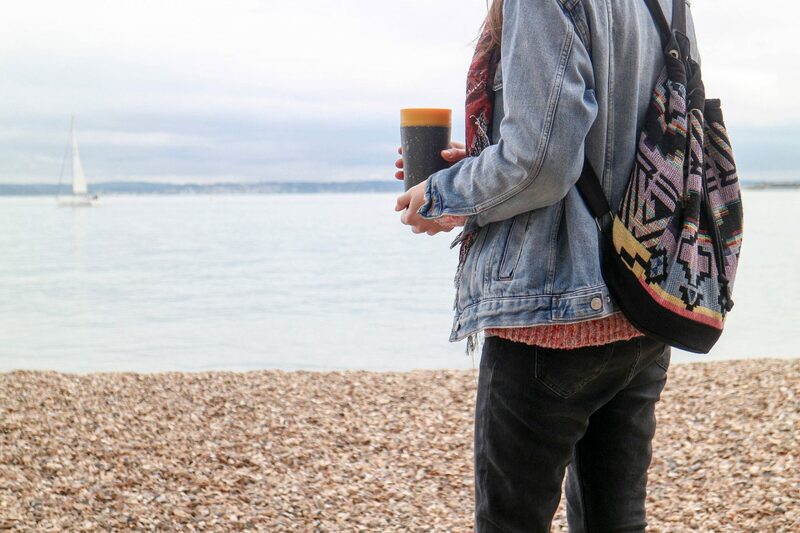 They’re also hosting the Eco Freaks Festival in August, which is going to be a huge ethical shopping event in Portsmouth Guildhall; expect sustainable products, vegan and vegetarian food and Fair Trade items. I’ve only just stumbled across Refill and Replenish on Instagram, but I had to include them because they’re another wonderful chance to buy things package free in bulk! They stock everything from dried food goods to cleaning products and wax wraps, and I couldn’t be more excited to check them out! I buy pretty much everything from either charity shops, Depop or ebay, and Southsea is amazing for charity shops – there’s pretty much one down every road. I like DEBRA on Elm Grove for furniture and home accessories (check out the basement for some vintage finds! ), and The Ark on Albert Road is great for textiles and homeware. While I love heading into Southsea to shop ethically, it’s not always practical (or cost effective! ), especially if I just need a top up of fruit and veg. 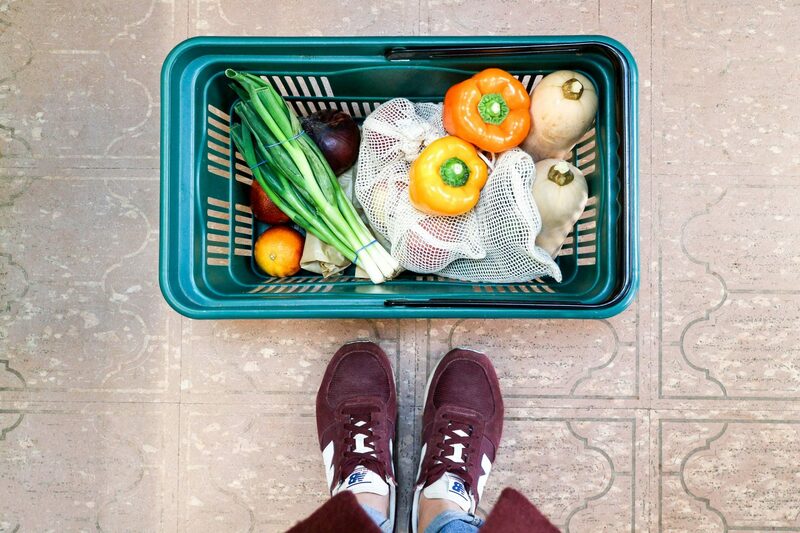 Luckily there’s a really, REALLY good grocers ten minutes away, that sells most things completely package free – and they’ve just added a bulk-buy pick and mix section for everything from dried fruit and nuts to pasta and seeds. I’ve always wanted to get hold of some flax seeds, but didn’t fancy paying £12.99 for a giant bag from the health food shop – now I can just grab a couple of scoops from the grocers! I used the medium and large produce Turtle bags for apples, tomatoes and courgettes, and I loved them – I’ve used the mesh ones before, but these felt way more resilient, and I wasn’t worried about them getting laddered by sharp stalks. Once I’d paid, I popped everything into the long-handled string shopping bag – I usually worry that my well-used old ‘bags for life’ will give out halfway home, but this one can hold up to 40kg! If I’m not heading into Portsmouth and Southsea, I always buy any flowers I need from Waterlooville Flower Centre on London Road. Sold by the stem, the flowers are always fresh and they usually have a great seasonal selection – if you see eucalyptus or gypsophila in any photos, this is where it’s come from! I try to forage as much as I can for my home, but sometimes you just need a top up – and I usually just hop on my bike and come here! Waterlooville is a hidden gem for charity shops; I recently staggered home with two vintage chairs for £7 from Stellas Voice in Wellington Way (they’re also AMAZING for baskets and vintage pots and sugar bowls! ), I found a French Connection peasant style blouse for £3 in Barnardos and Rowans Hospice is great for books and games (although slightly pricier than the others). So, that’s how I shop as ethically as possible – I’m absolutely by no means perfect (I’m still using Asda fabric softener, and haven’t managed to find an alternative for shower gel yet! ), but I just think that every little helps. 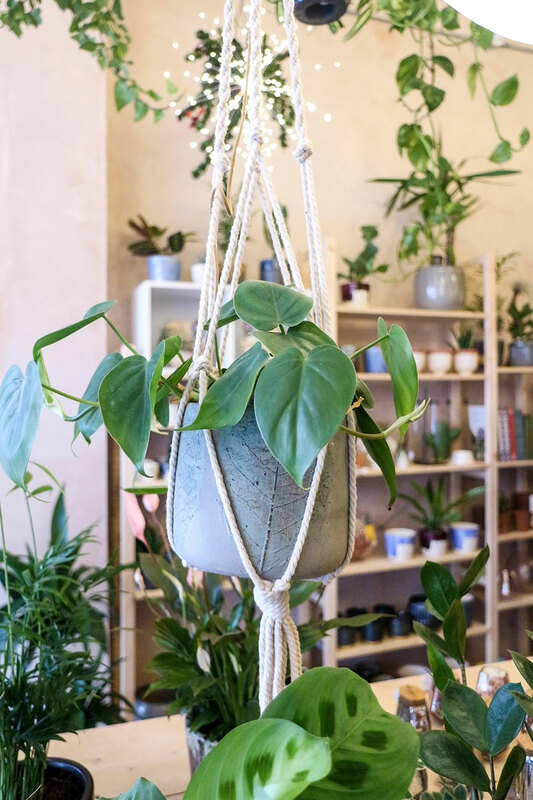 What I’d really like to find is somewhere that stocks Borax substitute and bicarbonate of soda locally, so I don’t have to keep ordering them online – so if anyone knows of anywhere, give me a shout! 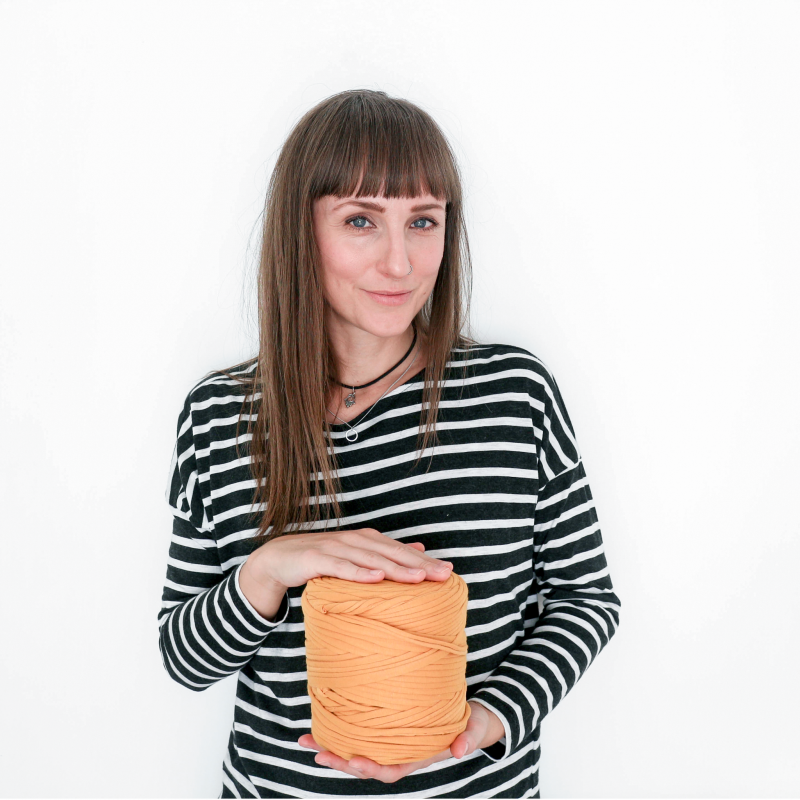 Great post – it looks like you have so many great options for sustainable shopping! 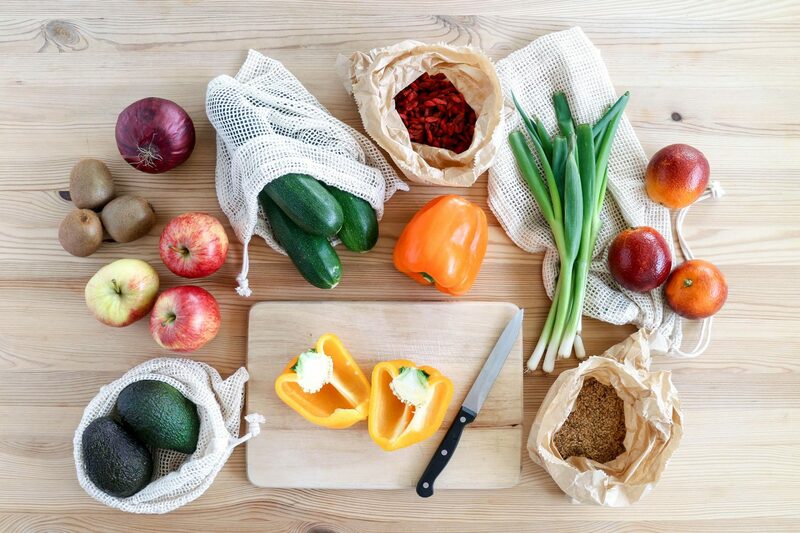 I am limited to only two grocery stores in my city that have bulk bins, but I do my best with reusable produce bags to reduce my waste as much as possible 🙂 Glad I found your blog – your pictures are absolutely stunning!